Several months ago, we got in touch with the French company CimAlp which makes apparel for hiking, skiing, trail running and other outdoor sports. I was especially impressed with their jackets because they utilize high-quality materials and are lightweight. Therefore, I asked them for a sample of CimAlp PrimaLoft jacket. 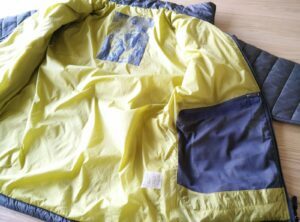 I had been wanting such a garment for a long time because my Carinthia HIG jacket is often too warm and heavy for highly aerobic activities such as mountaineering while my Mountain Hardwear Monkey Man fleece jacket does not provide enough protection against the elements in snowy conditions – it quickly gets wet and lets the wind through easily. 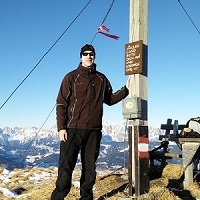 After reading the technical specifications for the CimAlp PrimaLoft jacket, I figured out that it could indeed be the perfect garment for hiking and mountaineering in snowy conditions at cold and moderate temperatures (-5° C; 41° F and warmer). 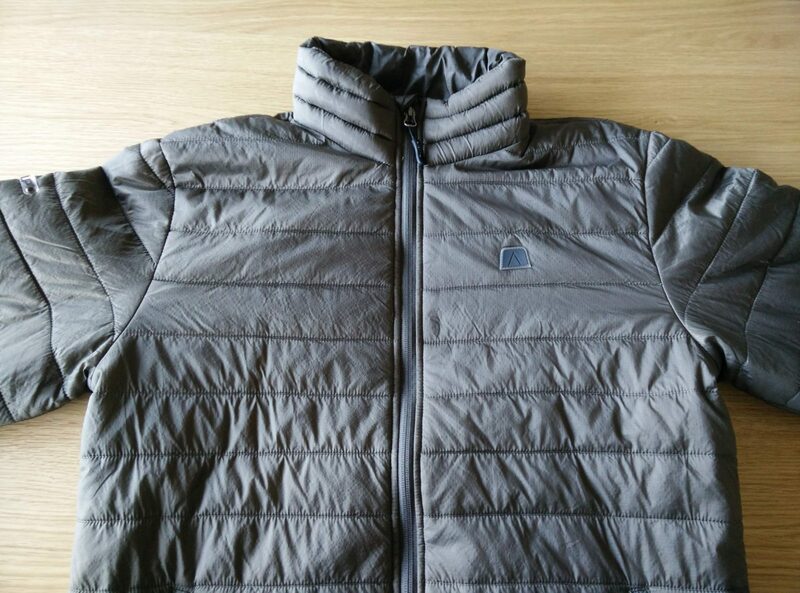 The jacket uses high-quality PrimaLoft Sport insulation (100g/m2) and has a high insulated collar. 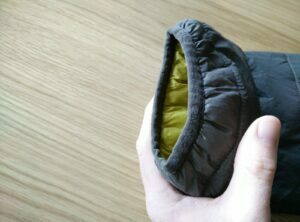 It weighs merely 390 grams (size M) which is only five grams more than my Mountain Hardwear fleece jacket. For the last couple of weeks, I’ve been thoroughly testing the jacket and the following is what I learned about it. The jacket utilizes PrimaLoft Sport insulation which is made of a blend of ultra-fine and multi-denier synthetic fibers. These fibers mimic down clusters to ensure good warmth. According to CimAlp, PrimaLoft insulation provides similar warmth to down insulation with a fill power rating of 500. However, as PrimaLoft is synthetic insulation, it loses less warmth than down when it gets wet (read more about this here). Therefore, the jacket is a great option for outdoor activities in humid environments. I’ve been testing the CimAlp jacket in Denmark which is known for high humidity and rainy weather and I can confirm that the jacket performs great in such conditions. Of course, it loses some warmth when it gets wet, but it won’t leave you freezing. 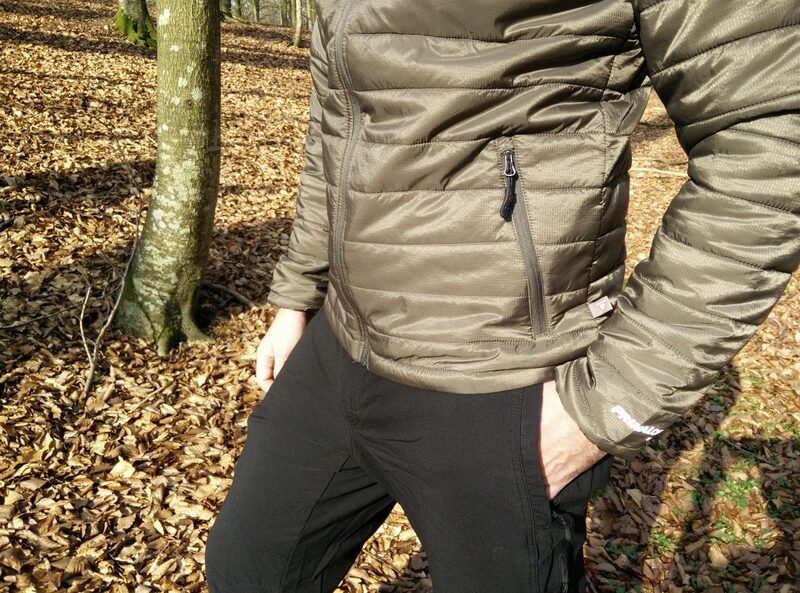 Like any other super lightweight jacket, the CimAlp PrimaLoft should be handled with care in dense woods and on rocky terrain to prevent damages. The jacket’s outer layer is very thin and made of ripstop nylon. Therefore, it also provides some basic protection against rain and wind. The inner layer is made of soft nylon and is very pleasant to the touch, so you can comfortably wear the jacket over a t-shirt. Since the jacket is very thin it can also be worn under a shell layer. 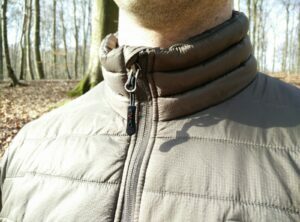 I tried wearing it under my Montane Minimus jacket and it fits perfectly. The jacket has two zippered hand pockets and a zippered internal pocket. The hand pockets could be located a bit higher as wearing a backpack’s hip belt (or climbing harness) would partially cover them – not ideal for climbing and such. They are made of mesh fabric and thus they can be used as vents during intense activities. The internal pocket is large so you can easily store bigger items. However, the main purpose of the internal pocket is that it serves as a stuff sack for the jacket. 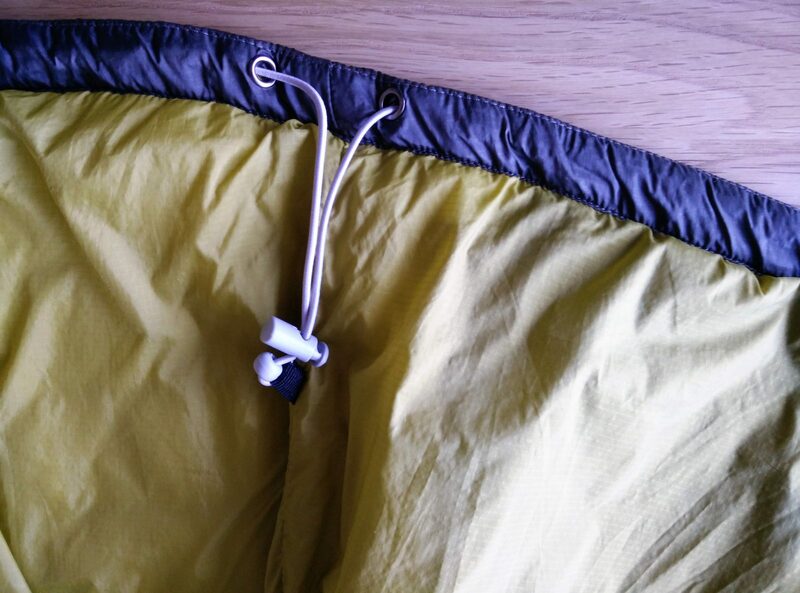 It also has a carabiner loop for attaching it to your backpack or climbing harness. My only complaint here is that the internal pocket could be a bit smaller because this would allow me to compress the jacket even more. Nevertheless, it is a very neat and useful feature. The CimAlp jacket also has elastic cuffs, drawcord hem and an insulated collar. 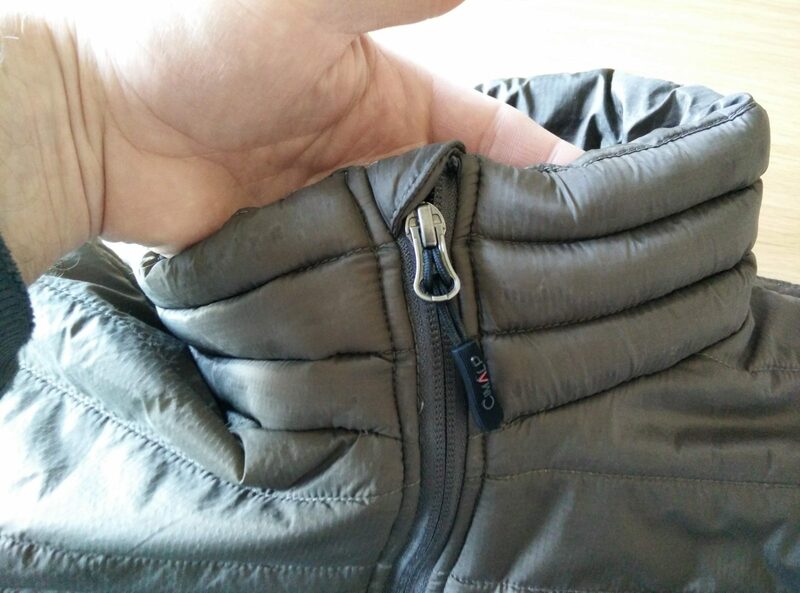 The drawcord adjustment toggle is located on the inside of the jacket (right side), so there are no dangling straps. It’s also easy to adjust on the fly. I really like the collar because it seems that it has some extra insulation. It fits me perfectly around the neck (tight but not too tight) and thus provides good warmth. The jacket is slightly longer at the back to protect your lower back against the cold during technical activities. All in all, I’m very satisfied with the features. I got the jacket in size M and it fits me quite snugly, but not too tight. My chest diameter is 98 cm and I’m 180 cm high. If you are taller or have a fuller chest than me, I do recommend that you buy the jacket in size L. However, note that the CimAlp jacket is designed to fit snugly as it is intended to be worn directly over a base layer, leaving little space for any other layer beneath. The jacket also provides good freedom of movement. It didn’t restrict me in any way during the testing period. The CimAlp jacket is machine washable at 30 C but should not be tumble-dried. Nevertheless, as the jacket absorbs very little moisture due to the synthetic materials, it dries very fast. 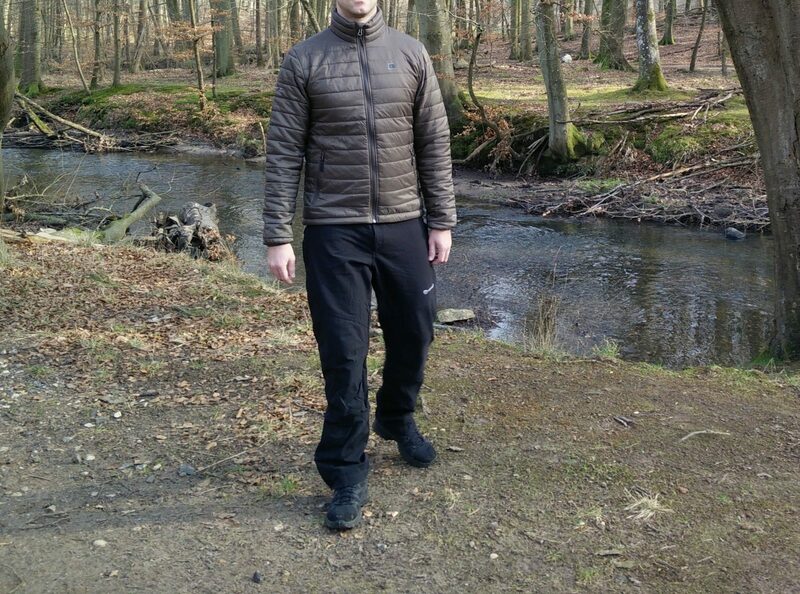 I wore the jacket on the Moesgaard Museum trail as well as on several other hikes. Unfortunately, I haven’t had a chance to test it in the Alps yet. 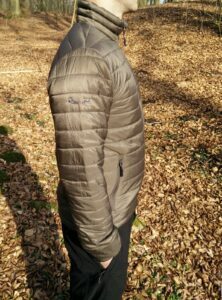 I was satisfied with the jacket on all hikes in Denmark, but I do think that this jacket will perform best in the Alps and similar mountain ranges. Why? Because it’s super lightweight, packs small and provides incredible warmth for the weight. And that’s what you really need when you are hiking in the mountains (as you can read more about in the post Why hike lightweight). The only things that I would change are the pockets. The hand pockets could be placed a bit higher as not to interfere with the hip belt of your backpack and the internal pocket could be smaller so that the jacket would pack even smaller. Nevertheless, it’s a great jacket and I believe I’ll use it for many years.